Can you imagine a situation where you have to allocate randomly your budget to different businesses of your corporate group without using any statistics—you might allocate high budget to a sick company and low budget to a company having high ROI. And your business would probably be declared looser or bankrupt. Similarly, a business cannot take a decision and survive without statistics or metrics. It has to base its decisions on sound statistics to make it a rational. This is where the role of Google Analytics comes. Whether you want to boost sales of your business or find out more users, Google Analytics will always lend a helping hand. 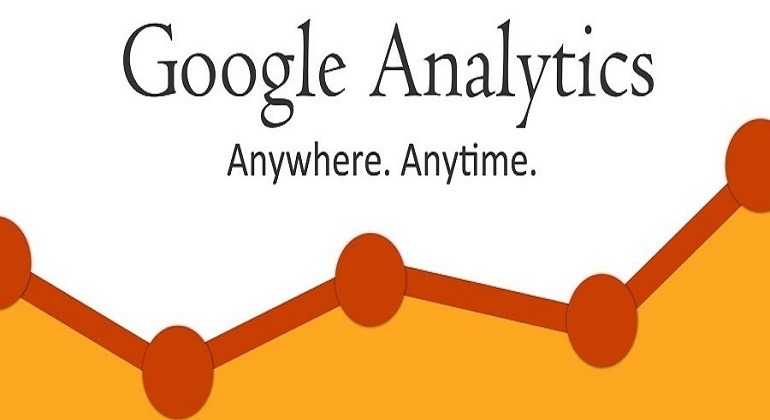 Google Analytics provides freemium analytic services provided by Google that monitors and reports website traffic. It is mainly used in providing statistics for Search Engine Optimisation and Marketing of Business. It also helps in gaining insight about how customers find your website and what they do once they have landed at the website. Google analytics helps in measuring the effectiveness of Search Engine Optimisation (SEO) and Pay per click (PPC) campaign. Further, It helps in determining the quantum of visitors brought to your website by SEO and PPC Campaigns. You can examine how each source is adding to new and existing customers. Moreover, it enables segmentation of visitor’s behavior on the basis of devices such as Desktop, tablet, and mobile. Ultimately this information helps in knowing the valuable information to increase traffic to your website. Can you imagine that a billion dollar companies are using google analytics at freemium— provided google free of charge by google? There is no initial investment required. What you just need is the membership of Gmail account that is also free. Just visit at Google Analytics Website And Sign in using Gmail account. Then follow the instructions available on the above-mentioned website. Google Analytics helps in knowing which keyword visitor is using to come to your website. Consequently, this will help in determining which keywords are enabling diversion of traffic to your website. If you find that any keyword is not worthy of Search Engine Optimisation you can delete it. Do you know what Bounce Rate is? Bounce Rate is related to the quality of content. It is used in quantifying satisfaction level. Bounce Rate indicates the amount of visitors that comes to your websites, views one page of your website and leaves your website. It connotes that though visitor has come to your website but he did not find the relevant stuff which he was expecting and finally leaves your website. Google Analytics helps in finding which pages are encouraging visitors to stay on the page and which page is not encouraging visitors to the stay on the web page. By using Google analytics, we can show the flow of traffic visually. We will comprehend by using an example. If 1000 users’ access home page of your website, google analytics can show that 200 visitors left due to Bounce Rates, 550 navigated to the products page, while 250 next visitors visited ‘about us’ page. So this chart can indicate which are the most popular landing pages and which are not and providing you the feedback to increase retention of visitors to your website. b. How those visitors are getting to your website—either from external link or direct organic search. c. Behaviors of visitor—what they are doing on your website? Google Analytics helps in finding a niche segment most interested in purchasing the product. After finding the above-mentioned niche company can initiate a marketing campaign accordingly.